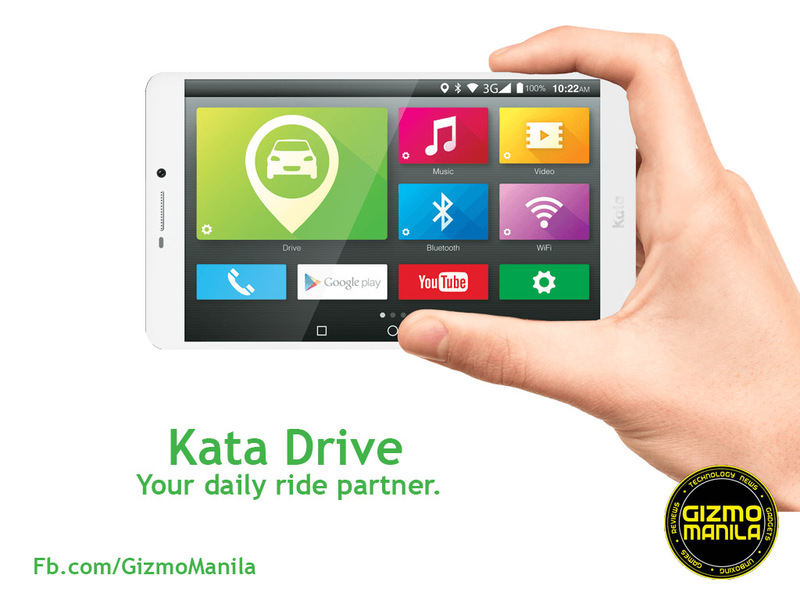 Home / android / grab / kata / kata drive / smartphone / uber / Kata Drive: Your daily ride companion. Kata Drive: Your daily ride companion. 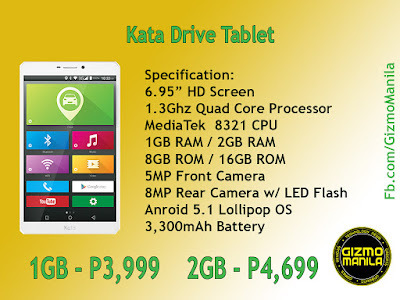 The new Kata recently launch its newest tablet specially made to all motorist, the Kata Drive. Kata Drive has a display that measures 6.95-inches diagonally. A IPS LCD panel with a resolution of 1280 x 800 pixels with friendly-user interface. It's powered by a MediaTek MT8321 Quad-Core Processor. Memory and storage are either 1GB+8GB or a better 2GB+16GB choice. A 8MP and 5MP camera, 3G connectivity, Wi-Fi, Bluetooth and a fairly large 3300mAh. It runs Android 5.1 Lollipop but looks like to be tailored for road use ala Android Auto. The phablet is now available for pre-order in Kata stores in either Grey or Gold options. 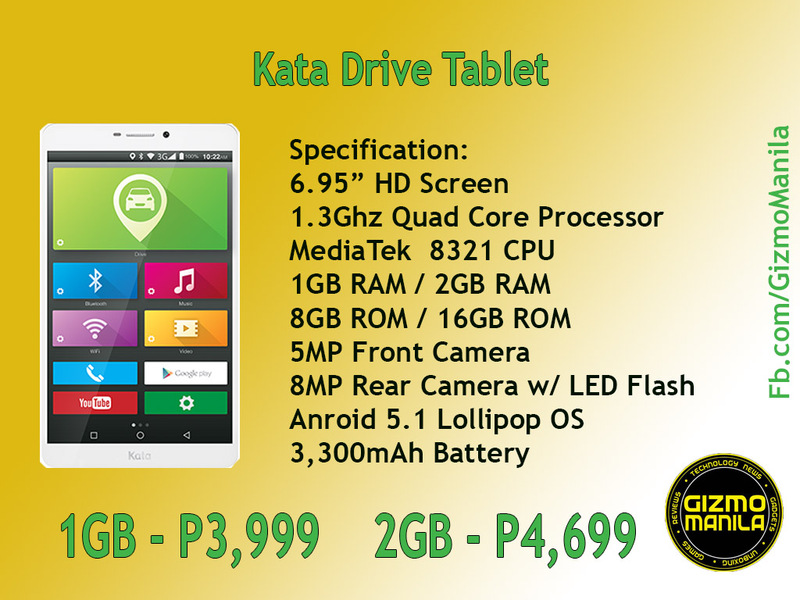 Kata Drive has 2 variant: 1GB+8GB at Php3,999 and 2GB+16GB is at Php4,699.